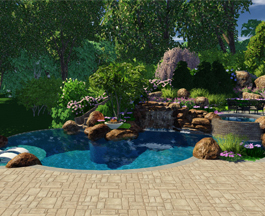 Riverstone Design Studio is a landscape design firm rooted in the artistry of its principal Andrew S Kosits. 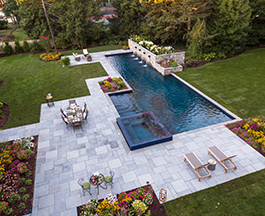 Founded in 2001, we have enjoyed 16 years of serving the NY-NJ tri-state area creating stunning successful landscapes for our clients. Our process starts by visiting with you at your site. There we discuss your wish list and assess the current conditions. We talk about ideas and options as well as restraints and limitations. Sometimes our clients have small areas that need to be redesigned. Other times homeowners need a road map on how to create their own personalized outdoor resort. The initial visit dictates our next steps. There are different processes for the different services. At Riverstone, we believe that every landscape has the potential to be exceptional. We strive to provide personalized and creative solutions to every project we undertake. Our goal is to create beautiful inspiring outdoor spaces that are sustainable and get better as they mature. We maintain lasting working relationships with our clients to ensure this.